NOTE: We are testing out something new this week. We have separated the three Tuesday’s World News articles into separate posts, with one in place of today’s Daily News Article. Analysts are seeing signs that Mount Mantap, the 7,200-foot-high peak under which the tests are conducted, is [in danger of collapse], the Washington Post reported. During a massive detonation that triggered a 6.3-magnitude earthquake, the mountain visibly shifted. Since then, the region, which is not known for natural seismic activity, has had three more quakes. Chinese scientists have raised the alarm that additonal nuclear tests could cause Mount Mantap to collapse and release the radiation from the blast. North Korea has conducted six nuclear tests since 2006, all of them under Mount Mantap at a site known as the Punggye-ri Nuclear Test Facility. 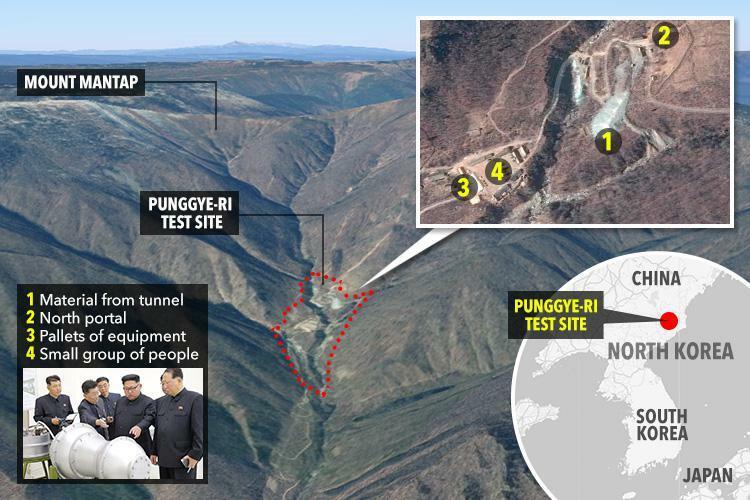 Using satellite images, intelligence analysts and experts keep tabs on movement at the three entrances to tunnels for signals that a test is imminent. Analysis group 38 North published images that showed “more numerous and widespread” disturbances at the site of the test than before, the BBC reported. 38 North said the pictures showed landslides as well as numerous areas of gravel and stone fields that were “lofted” by the tremors. Lofting occurs when shockwaves force material to be ejected from the ground, and the material falls back down in the same place.